1. The requested transaction is broadcasted to P2P network consisted of computers known as nodes. 2. Validation: The network of nodes validates the transaction and user’s status using known algorithms. 3. A verified transaction can include cryptocurrency, contracts, records or other information. 4. Once verified, the transaction is linked to other transactions to create a new block of data for the ledger. 5. The new block is then appended to the existing Blockchain, in a way that is permanent and unalterable. 6. The transaction is finally complete. Why is it so revolutionary? 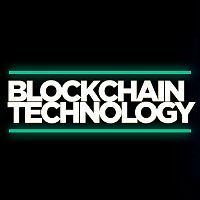 Blockchain technology can operate for almost every type of transaction including money, goods, and property. Its potential uses are virtually endless: from managing taxes to enabling migrants to send money to their families in countries where the banking system is terrible. Blockchain can also help to lessen frauds every transaction is recorded and distributed on a public ledger for anyone to see. 1. Automotive: Consumers can use the Blockchain to manage fractional ownership in autonomous cars. 2. Financial Services: Faster and cheaper settlements can save the billions of dollars from transaction costs while improving transparency. 3. Voting: Using Blockchain codes, a constituent can cast votes via smartphone, tablet or computer, resulting in immediately verifiable results. 4. HealthCare: Patients encrypted health information can be shared with multiple providers without the risk of privacy breaches. In theory, if Blockchain goes mainstream, anyone with access to the internet would be able to use it to make transactions. Currently, only a tiny proportion of global GDP (around 0.025%, or $20 billion) is held in the Blockchain, according to a survey: by the World Economic Forum’s Global Agenda Council. The Forum’s research suggests this will increase significantly over the next decade, as banks, insurers and tech firms perceive the technology as a means to speed up contracts and cut costs. Companies pursuing to adapt Blockchain include UBS, Microsoft, IBM, etc. The Bank of Canada is also exploring the technology. Overall, the Blockchain technology has the potential to transform several industries from advertising to energy distribution. The main innovation is that the technology enables market participants to transfer assets across the internet without the requirement for a centralized third party. And that’s all about Blockchain technology. If you have any queries or feeling something left behind, please comment below now. We will be happy to answer all of your questions related to it.